In recent times there has been a surge of interest in the uniquely beautiful song forms of Roma (or "gypsy") music. Its variety, richness and influence have won international admiration, even as the Romani people themselves have so often been the victims of misunderstanding, prejudice and repression. The Romani people emerged in Eastern Europe almost a thousand years ago and can trace their origins to the Indian sub-continent. Their itinerant culture and wide global dispersal have led to a unique richness of musical style which, in part due to the rise in interest in world music, is now being more widely appreciated. Whether performed in one of several Eastern European tongues or in the Romani's own language, the 21 songs featured here reflect the haunting, diverse voices of a unique ethnic culture. 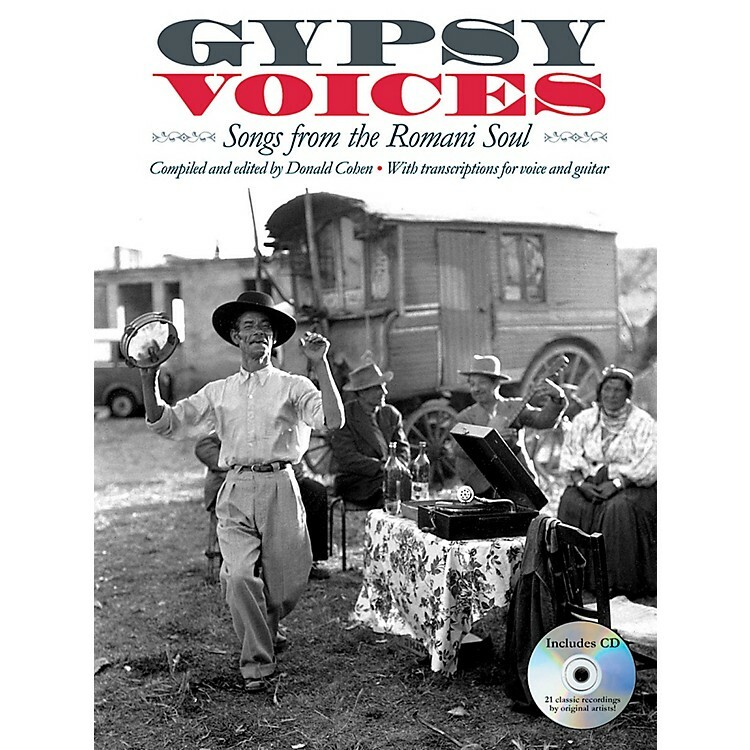 The songs are presented both in print - with melody lines, chord boxes and lyrics in their original language and English - and in classic recordings by the original artists on the accompanying CD.